On 10th September 2018, Fred. 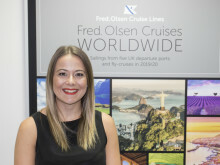 Olsen Cruise Lines’ fleet of four ships – Balmoral, Braemar, Boudicca and Black Watch – will be reuniting once again in one of Europe’s most historic cities, Cádiz in Spain, for a spectacular event to mark the 170th anniversary of Fred. Olsen’s beginnings in the shipping industry. 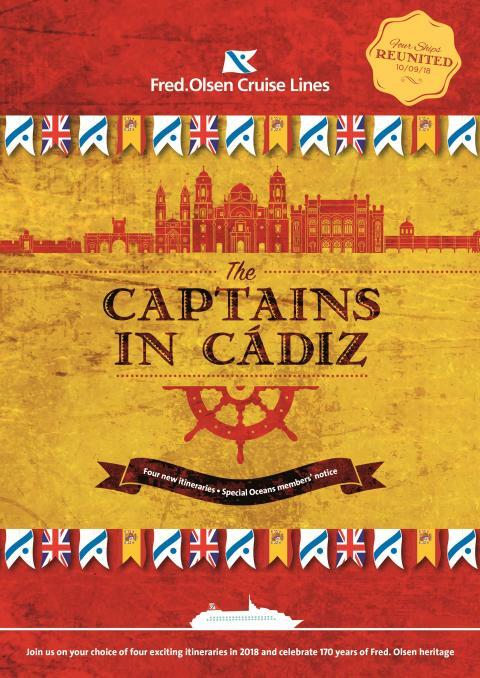 Entitled ‘Captains in Cádiz’, this get-together will be packed full of lively celebrations and festivities, on four special themed cruise itineraries, to go on general sale from 28th September 2016. - Braemar’s 14-night M1822 ‘The Flavour of Spain’ cruise, ex Southampton on 31st August 2018. Prices start from £1,599 per person. - Black Watch’s 14-night W1819 ‘Portuguese Explorer’ cruise, ex Liverpool on 1st September 2018. Prices start from £1,499 per person. - Balmoral’s 14-night L1829 ‘Cities of Spain & Portugal’ cruise, ex Newcastle on 2nd September 2018. Prices start from £1,499 per person. - Boudicca’s 15-night D1819 ‘Island-Hopping to Suez’ fly-cruise, ex Dover on 5th September 2016 (ends in Aqaba, Jordan). Prices start from £1,799 per person (fly-cruise package via London Gatwick / Manchester) / from £1,299 per person (cruise-only). All prices above are based on two adults sharing a twin-bedded Interior Room, and include accommodation, all meals and entertainment on board, and port / airport taxes / transfers, where applicable. The full details of Fred. Olsen Cruise Lines’ 2018/19 cruise programme will be released in its main ‘Worldwide Cruises’ brochure in Spring 2017.